The All Progressives Congress (APC) has denied reports that it congratulated Senator David Markon his victory in the Benue South Senatorial rerun elections which held on Saturday, February 20, 2016. The APC made the denial via a statement released on Sunday, February 21. 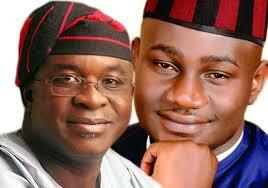 Mark defeated APC candidate, Daniel Onjeh to win the election after securing 84,192 votes to Onjeh’s 71,621. Onjeh and Mark went head to head in the elections after the latter’s March 28, 2015, election victory was nullified by the Court of Appeal.